The Fifth Squad reports the arrest of a Roosevelt man for Criminal Possession of a Weapon that occurred on Tuesday, January 3, 2017 at 11:20 p.m. in Elmont. Dashawn Faulkenson, 22, of Roosevelt, was placed under arrest. Elmont, NY - January 4, 2017 - The Fifth Squad reports the arrest of a Roosevelt man for Criminal Possession of a Weapon that occurred on Tuesday, January 3, 2017 at 11:20 p.m. in Elmont. According to detectives, Fifth Precinct officers responded to a 911 call for suspicious autos on Sewanee Avenue. Upon arrival officers found five occupants sitting in a 2009 Chevrolet Malibu and an odor of marihuana coming from the vehicle. The occupants of the vehicle were removed from the auto and a .22 caliber handgun and marihuana were located inside. An investigation revealed that the operator Dashawn Faulkenson, 22, of Roosevelt, was the owner of the handgun and marihuana. Faulkenson is charged with Criminal Possession of a Weapon 2nd degree and Unlawful Possession of Marihuana and will be arraigned on Wednesday, January 4, 2017 at First District Court in Hempstead. 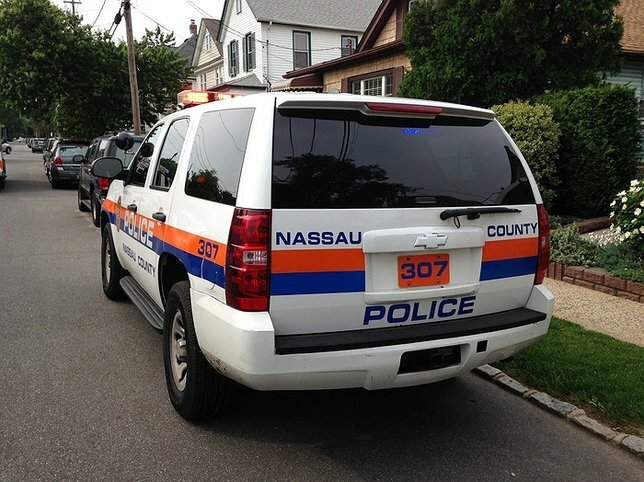 Subject: LongIsland.com - Your Name sent you Article details of "Roosevelt Man Arrested for Criminal Possession of a Weapon and Marijuana in Elmont"